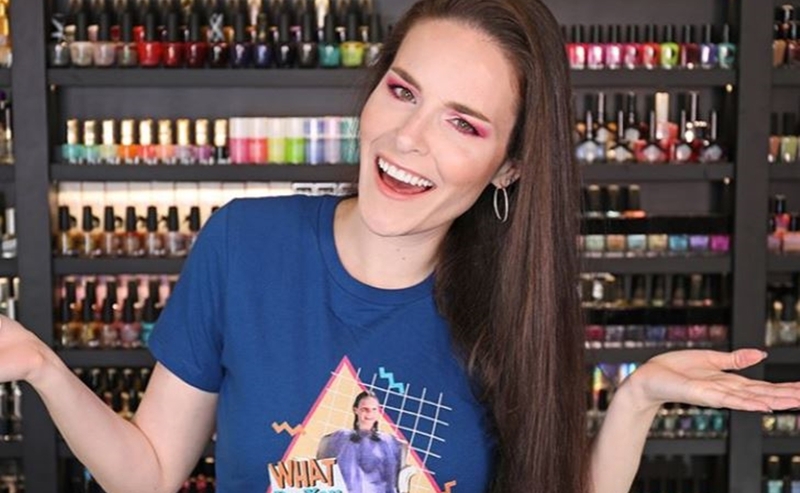 YouTube megastar Cristine Rotenberg — known to her 6 million subscribers as Simply Nailogical — is looking to give back to fans this back-to-school season in a way that exceeds her usual supply of bitingly funny nail tutorials. For the second year in a row, Ontario-based Rotenberg is hosting a Simply Go To School Tuition Giveaway, whereby the 29-year-old will pay one semester’s worth of tuition for two of her lucky followers. The giveaway is exclusively for students enrolled in post-secondary institutions in Canada. In order to enter, students must simply furnish a description of their academic and creative interests — in 140 characters or less. The giveaway closes on Friday, and Rotenberg noted on Monday that 5,000 fans had already entered thus far. Rotenberg also noted in a recent back-to-school video (below) that while YouTube may be an increasingly aspirational career for many young people, it isn’t necessarily a realistic goal given the scant likelihood of success. “You can do both — you can have fun on YouTube and make creative videos, maybe make money off of it…but then you also have a career where you went into it knowing that it can support your future financial stability for yourself and your family,” she said. This isn’t the only cause close to Rotenberg’s heart. As a cat owner, she has also donated thousands of dollars to local animal shelters.